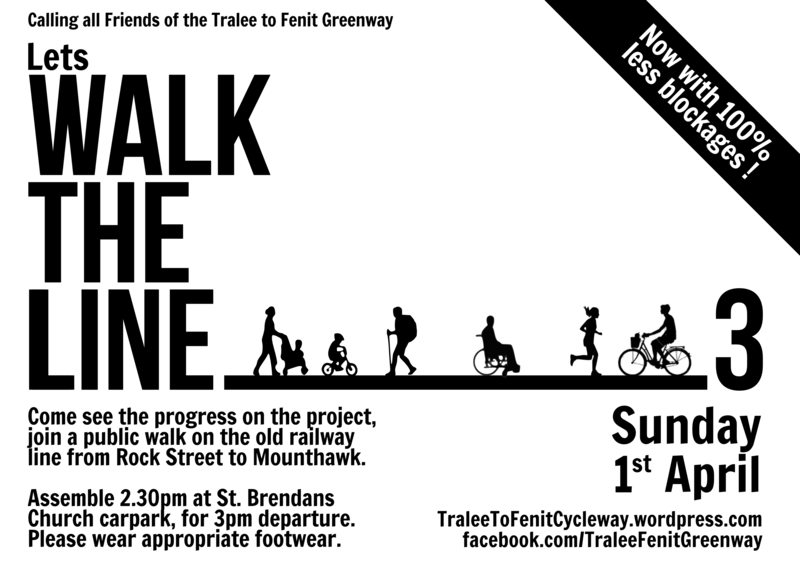 Another walk will take place on Sunday the 1st of April from Rock Street on to Mounthawlk. Hopefully you can come along and see the progress on the project, the line has been cleared at this stage and the rails removed. The weather is looking better than on the previous walks so sun-block might be needed this time not wellies !